12 LISTS Lego My LegosList about the world's favorite indestructible building block: the Lego. "The Lego Movie" quotes bring the action in the computer-generated film based on the popular children's construction toy. Written and directed by Phil Lord and Chris Miller, "The Lego Movie" opened in theaters in the United States on February 7, 2014. 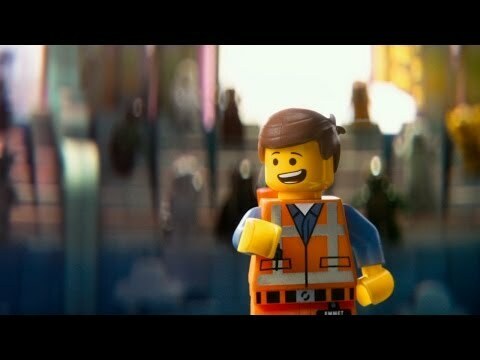 In "The Lego Movie," Emmet (voiced by Chris Pratt) is a normal guy enjoying his totally awesome life in the Lego universe. One day he is mistaken for the Special, the greatest Master Builder in the land and the only one who can save the universe from Lord Business (voiced by Will Ferrell). Despite Emmet's pleas that he is not the Special, Emmet is tasked with saving the world. Along with Wyldstyle (voiced by Elizabeth Banks), Batman (voiced by Will Arnett), Vitruvius (voiced by Morgan Freeman) and other friends, Emett must forget everything about building that he's known and use his imagination to save Lego universe before Lord Business destroys it all on Taco Tuesday. "The Lego Movie" brings a light movie to theathers already full with heavy movies such as "The Secret Life of Walter Mitty, "Anchorman 2: The Legend Continues," "Saving Mr. Banks," and "Frozen". Emmet: "Good morning, apartment. I'm ready to start the day. Jumping jacks, hit 'em! One! Two! Three! I am so pumped up!" Emmet: "Oh my gosh, I love this song!" Wyldstyle: "Come with me if you want to not die." Wyldstyle: "You're the Special and the prophecy states that you are the most important person in the universe. That's you, right?" Emmet: "Uhhh, yes, that's me." Emmet is having another awesome day, as usual, in his completely normal life when everything changes. He has an accident at work and suddenly find himself as the most important person in the universe. Good Cop/Bad Cop: [as Bad Cop] "Take him to the melting chamber!" Emmet: "Isn't there also supposed to be a good cop?" Good Cop/Bad Cop: [as Good Cop] "Hi, buddy! Would you like a glass of water?" Good Cop/Bad Cop: [as Bad Cop] "Too bad!" When Emmet is busted, he is facing an awful fate, the melting chamber. He knows he can talk to good cop, who might be able to get him a better sentence, but getting good cop to stick around is going to be tough. Wonder Woman: "To the invisible jet!" Both Batman and Wonder Woman think that they have a way to get them safely off that rock. Unfortunately, both made the mistake of announcing their plans which gave the bad guys easy targets to blow both vehicles up. Vitruvius: "We are entering your mind." Wyldstyle: "I don't think he's ever had an original thought." Emmet: "That's not true. Introducing the double-decker couch, so everyone can watch TV together and be buddies!" Wyldstyle: "That is literally the dumbest thing I've ever heard." Vitruvius: "Let me handle this. That idea is just the worst." Emmet is tasked with using his imagination to save them all. While Wyldstyle has her doubts, Emmet already has a fun new invention, not that it will help them in their situation.